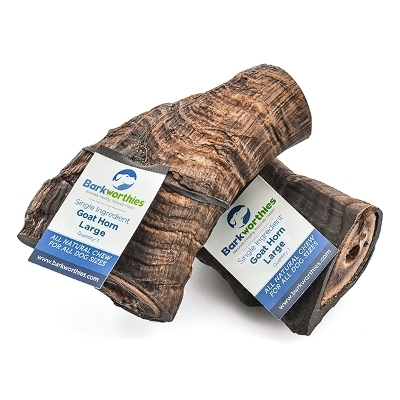 Barkworthies Goat Horns are full of keratin with marrow inside - a great long-lasting chew at a value price! Barkworthies Goat Horns are durable enough to keep even aggressive chewers happy and occupied. 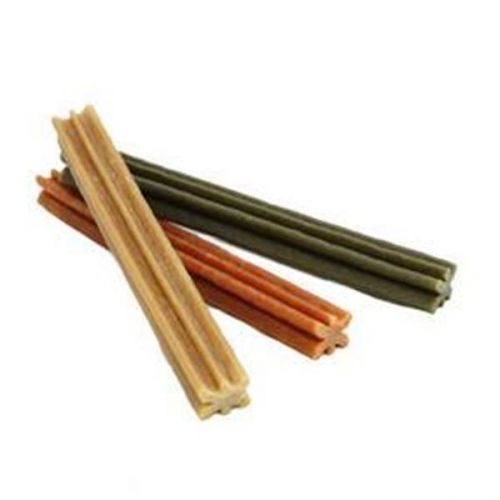 These all-natural chews are highly digestible, making them a great alternative to traditional rawhide. 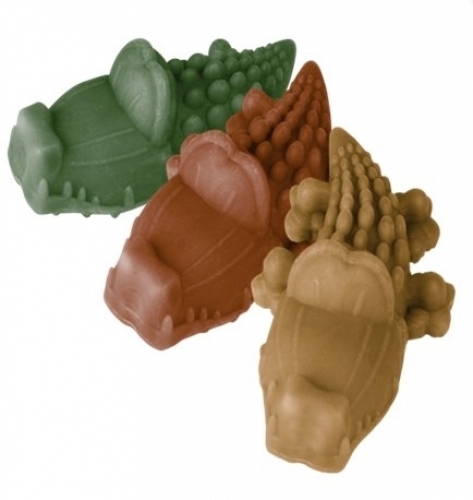 WHIMZEES are flavorful dental dog treats in a variety of fun, whimsical shapes your dog will love. 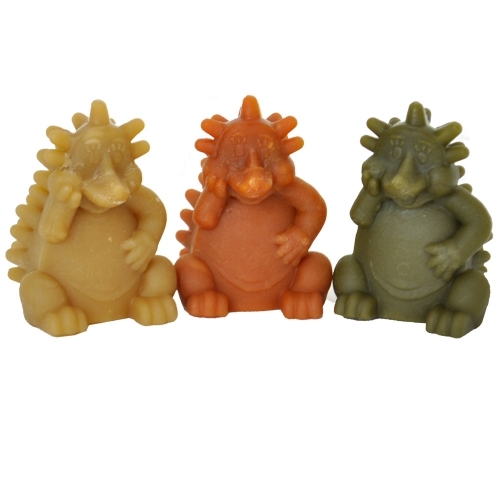 Totally edible, they are made of natural vegetables with no added chemicals, wheat, gluten or meat by-products. 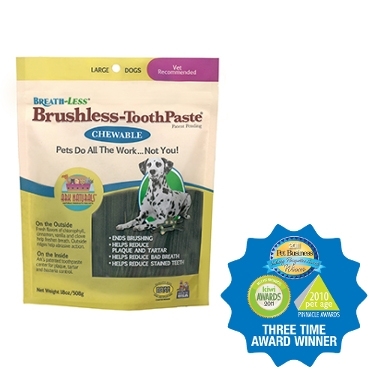 Highly digestible, they also help freshen breath and reduce plaque build-up on the dog's teeth. They’re human-food grade, with only six primary, natural vegetarian ingredients. Dental hygiene is as important for dogs as it is for humans, Whimzees dog treats make it easy for dogs to clean their own teeth! Green, brown or orange. 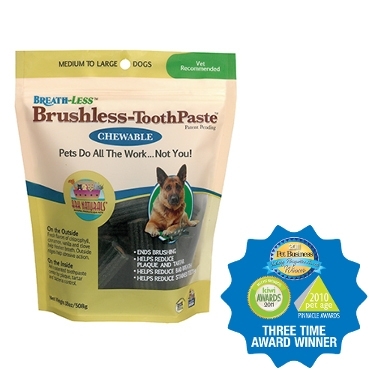 Natural dental chew for dogs. Ark’s patented toothpaste center for plaque, tartar and bacteria control. MULTIPLE AWARD-WINNING product with patented ingredients. Made in the USA by Ark Naturals. 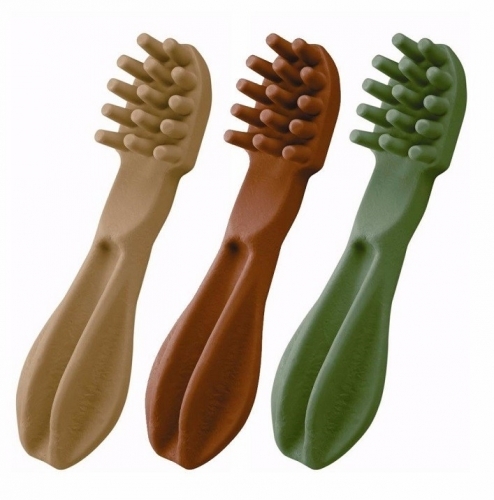 PetzLife’s FINGER BRUSH is ideal for cleaning teeth and massaging around gumline. Just slip over index finger. Gently brush in a circular motion over teeth and gum line. Soft, Gentle and Easy to Use. 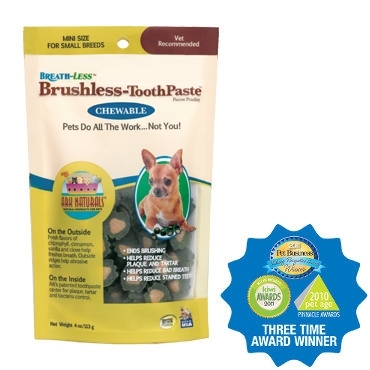 PetzLife Oral Care is a complete, all-natural solution to your pet’s oral care needs. It is GUARANTEED to break down plaque and tartar, work under the gum line to help heal gum tissue, and kill the bacteria that causes bad breath. 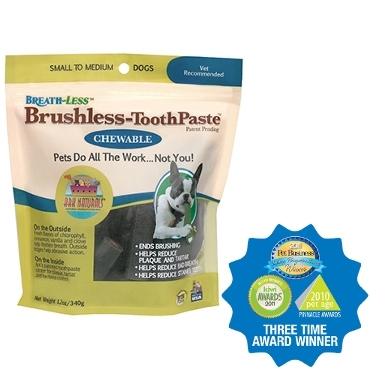 So whether your pet has bad tartar build-up, has red inflamed gums, or just plain old stinky breath…. PetzLife is your solution! Available in salmon or peppermint. NO BRUSHING REQUIRED! Oral care is about more than making your pets’ smiles sparkle—it’s an important component of their overall health. In fact, 80% of dogs begin to show signs of oral disease by age 3. 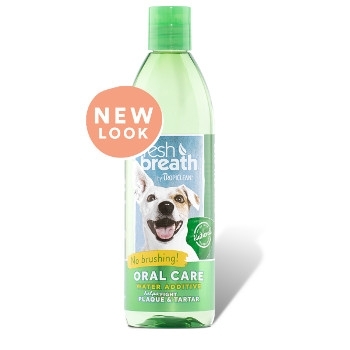 Our Fresh Breath Clean Teeth Oral Care Gel has a unique blend of powerful, natural ingredients that removes and defends against plaque and tartar, providing fresh breath for friendlier smooches. 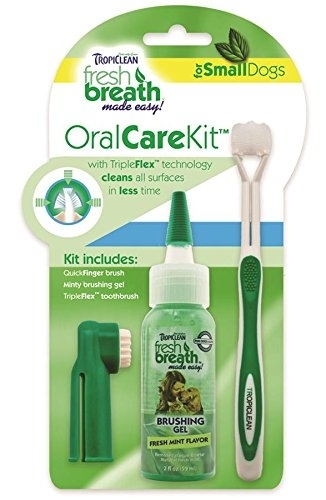 Clean teeth, fresh breath, no brushing! For dogs & cats. Oral care is about more than making your pets’ smiles sparkle—it’s an important component of their overall health. In fact, 80% of dogs begin to show signs of oral disease by age 3. 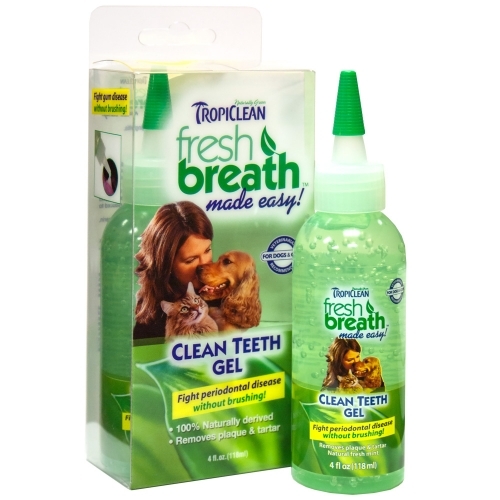 Our Fresh Breath Oral Care Kit includes our TripleFlex™ Toothbrush, Finger Brush and our Brushing Gel for Dogs. Our Brushing Gel for Dogs is infused with green tea leaf extract that naturally defends against plaque and tartar and clings to their teeth for a superior clean. Our TripleFlex Toothbrush cleans 3x faster with its easy 360-degree bristles. Also included is our Finger Brush which allows you to gently clean helping dissolve plaque and tartar. Clean teeth, healthy mouth, happy dog. Natural dental chew for dogs. Ark’s patented toothpaste center for plaque, tartar and bacteria control. MULTIPLE AWARD-WINNING product with patented ingredients. Made in the USA. Natural dental chew for dogs. Ark’s patented toothpaste center for plaque, tartar and bacteria control. MULTIPLE AWARD-WINNING product with patented ingredients. For dogs and cats. Made in the USA by Ark Naturals.